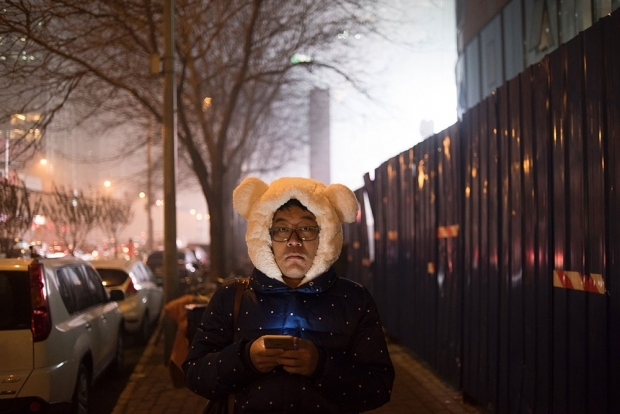 A man with a teddy bear hat walks along a street on a polluted evening in Beijing on November 30, 2015. Choking smog blanketed Beijing and much of northern China on November 30. This is the second part of the Live Sinica discussion recorded last month during a special event at the Bookworm literary festival. In this show, David Moser and Kaiser Kuo were joined by China-newcomer Jeremy Goldkorn, fresh off the plane from Nashville to field questions from the live Beijing audience. During this show, the hosts talk about what Beijing means to them and what they see happening in China going forward. If you’re a long-time listener, be sure to check out this unusual episode—recorded in front of a live audience.